Choosing a Private Investigator - Stillinger Investigations, Inc. In South Carolina and most other states, Private Investigators must be licensed. Licensing requirements vary, but rarely do they provide any guarantee of quality. Beware of large national firms that simply take your case and then subcontract to local solo investigators with whom you never have contact. Lack of proper licensing can jeopardize an investigation, so make sure you know that the person(s) who will actually perform the work for you are properly licensed. All Private Investigators should have liability (or E&O) insurance. Don’t be afraid to ask about this, and to require proof if you have any doubts. A professional PI will understand this concern and willingly provide you with this information. No formal education is required to be a Private Investigator in South Carolina. However, although college or advanced degrees are not necessary, they reflect understanding of commitment and sense of responsibility, both of which are important characteristics for any professional. When looking for a PI, consider whether his or her educational background gives them specialized knowledge that could be applied to your specific case. If the investigator will be required to blend in with certain people or groups to complete the investigation, level of education can be an important factor. Detectives are professionals. Consider whether the PI you are considering holds himself out as a professional. Does he speak, write, and conduct himself professionally? Does he have a website? Is it well-organized and free of spelling and grammatical errors? Does he pay attention to detail? Does he dress professionally? Does he have an established office? Is his office well-organized? Is he on time? Does he return your call promptly? Do you trust him? Do you have reservations about referring your clients or friends to him? Would you be comfortable having him appear in Court on behalf of you or your client? Trust your instincts, and do not settle for a Private Investigator that does not act professionally. How long has the PI been in business? Is he or his firm investing in the community through Chambers of Commerce, the Better Business Bureau, charity sponsorships, or other civic commitments? Does the investigator or firm have experience with the type of case you are working on? How much? How sure are you that the firm and the people who worked on your case will still be there a year or two in the future? These can be important factors when finding a private investigator. If you are considering a large national firm, how long have they served your community? How well do they know your area? How effective have they been? What kind of customer service do they provide? How do you know who will be working on your case? Do they have a local established office, or are you dealing with a voice on a well-advertised toll-free hotline? Is the cost significantly higher than hiring a local private investigator, and if so, is it worth it? If you are considering a solo detective or a small firm, how long has the firm been established? Can they handle multiple cases at once, and if so, how? 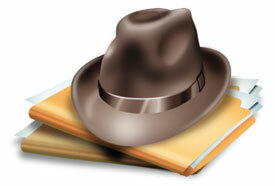 Does the investigator work from home, or has he invested in a professional office location? What support staff does the firm have? Does he have the proper resources (database access, specialized cameras, GPS devices, etc.) in stock or will he have to rent them? Does he plan to subcontract any of the work on your case and if so, to whom? Have others used the firm and recommended their services to you? How will they maintain contact with you and your client? In whatever size firm you are considering, look for strong management and a sense of teamwork among the employees. A Private Investigation firm should have an established office, an administrative assistant, and its own stock of specialized equipment. You should be able to speak directly with those handling your case, and there should be no difficulty reaching someone. The firm’s senior investigators should be well-qualified and capable of guiding, training, supervising and directing the other investigators. The firm should also be willing to invest in the community, so look for memberships in professional organizations, Chambers of Commerce, and the Better Business Bureau. Does the investigation firm you are considering have access to specialized equipment? Any established, professional private investigator or firm will have invested in the equipment needed to perform investigations quickly and efficiently. Ask what equipment the firm has in stock. If an investigator merely states that he has “access” when needed, he probably rents it. Last, but certainly not least, consider the firm’s reputation. What experiences have others had with the firm? What specifically did they like? Not like? Ask your fellow attorneys, as well as friends and family. And of course, ask the PI; if they can provide references, check them out. It will be well worth your time.